Nijinsky was one of the most famous horses to win the Triple Crown in 1970. This bay horse, a son of Northern Dancer, was born on 21 February 1967. He was a Canadian-bred racehorse. He rose to fame in 1969 when he participated in five consecutive races unbeaten and then proceeded to the following year where Nijinsky won the Triple Crown, thus becoming the first stallion to win the crown for thirty-five years. No other horse since 1970 has achieved this goal although Camelot was narrowly denied by less than one length in 2012 by Godolphin's Enke, priced 25/1. The horse which was easily identified with his three white feet, as well as a white star, was brought up in Windfields in Canada. 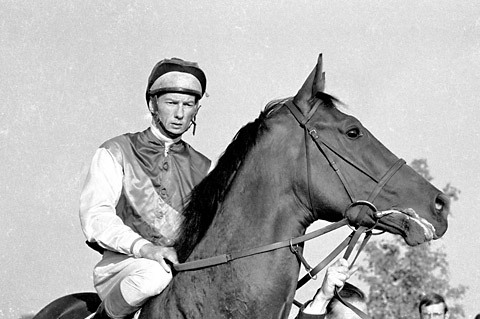 After winning the 1964 Derby, he rose to limelight through winning Queen’s plate in 1962. His success was aided by his huge size of 67 inches. He was auctioned as a yearling and purchased by American minerals magnate Charles W. Engelhard. His wife, Jane, one of the decided to name him Nijinsky after a famous dancer. The horse was then taken to Ireland where Vincent O’Brien offered to train him. He started his racing career at two where he won a maiden race by half length. After this, Nijinsky won the Railway Stakes and Anglesey Stakes proving to be a class horse. This led to him being sent to England to participate in Newmarket Dewhurst Stakes Group 1. He won with his new rider, Lester Piggott. This proved to be a partnership which made racing history. On his three-year-old season, he beat Deep Run to win the prep race. He was then sent to the 2000 Guinea race where he won despite a competitive field. During the summer, there was a tight contest between Nijinsky and his biggest rival Gyr but the favorite went on to win the race with Piggott declaring ''He was always cantering''. His winning ways continued on 27 June where he won Irish Derby using his tactical late burst of speed. After this, Nijinsky ran against older horses competition where he shocked the opposition defeating class horses. Later that year, he suffered a major setback with his training delayed by the contraction of ringworm. After recovering from ringworm, he was taken to Doncaster' St Leger in an attempt to become the first stallion to complete the Triple Crown. He won by one length with many blaming the ringworm. He was then sent to France to compete in the Prix de L'arc de Triomphe at Longchamp where he lost by a head after jinking to his left in te closing stages. Piggott said he thought the horse had had one race too many. This was followed by another defeat in less than two weeks in the Champion Stakes where he lost after looking anxious and sweating. He was retired to stud syndicated for over $5000,000. He was honored by a 138 rating. In 1970, he was voted the horse of the year by Time Form. A film was also shot regarding his career which was released in cinemas within Britain. The horse went on to be voted in various field and stakeholders such as Sports Personality of the Year 1970, horse of the millennium by The Sun. He won more than twenty races in his career making it one of the best racehorses in the world. In 1992 suffered from Laminitis leading to his death.